Is It Time to Repair or Replace Your Gutters? Your gutters work hard to protect your home by making sure that water runs off and does not accumulate. If your gutters are wearing down or damaged, it might be time to consider gutter repair in Fort Myers, FL. There are some signs to look for that will tell you that either repairing or replacing them is necessary. Do a visual inspection of your gutters and look for problems like bends, dents and cracks in them. While repairs are possible, at this point, completely replacing your gutters is the most practical choice. If your gutters are metal, over time, weather and the atmosphere will start to wear them down and this will occur in the form of rust. You can see browning areas or what looks like orange dots when this process starts happening. 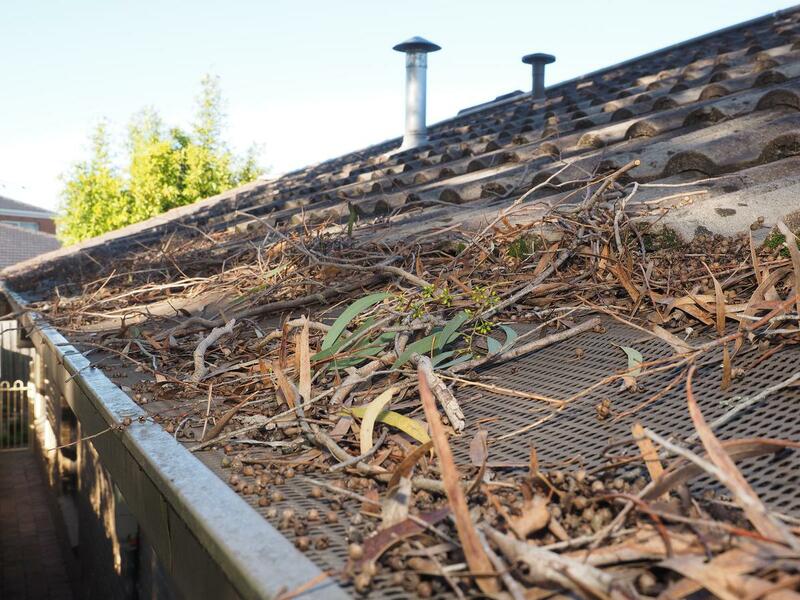 Once rust starts, not much can be done to stop it, so replacing the gutters is your best option. Water damage presents itself with stains and water marks on the exterior of your home directly under the gutters. Your gutters are not doing their job when you see this, so you want to start looking into gutter repair in Fort Myers, FL so that you can quickly get the problem taken care of before further damage occurs. This is the most straightforward sign that it is time for a replacement. If your gutters are starting to fall, the straps are likely broken and since these do not break easily, the gutters are probably old. You can save yourself a lot of heartache and hassle by having new gutters installed. As you can see, it is easy to determine when you need to look for gutter repair in Fort Myers, FL. It is important that you not delay this task to help protect the integrity of your entire home. Gutters. They’re probably not something you think about often, even if you’re one of the most responsible homeowners you know. More often than not, your gutters are a case of “out of sight, out of mind,” and despite them being in front of you every day, it’s likely you don’t even register them in your mind. Preventing flooding that could cause rot in your roof, leading to expensive structural issues down the line. Keeping water off of your home’s siding, where it could damage your siding materials, promote the growth of dangerous mold and mildew, make bug and pest infestation more likely, fade the paint job and cause rot. Stopping water from rolling off of your roof, straight down to the base of your home. This can cause deterioration to your house’s foundation overtime, which can cause issues with walls, your roof, supports, and every other part of the construction. Gutters might make up a small part of your home, but they do a huge job with protecting the house as a whole from the erosive properties of rain when it comes down. Therefore, paying attention to your gutter’s needs and investing in a bit of gutter repair in Fort Myers when it’s necessary is a must if you want your home to stand the test of time, maintain an excellent appearance, and avoid expensive costs down the line. Speaking to your professional about gutter repair and getting annual inspections can really help keep your gutters in top shape, and help preserve the rest of your home.